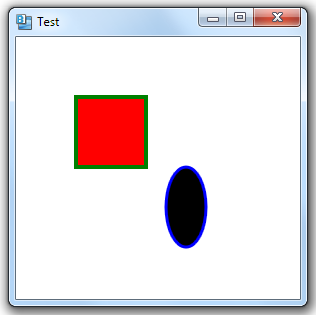 A class deriving from DrawingVisual that draws one or more 2D objects needs to be hosted in another object in order to render the DrawingVisual object in a window or a page. You can host the lower level control in either an UIElement or a FrameworkElement. UIElement has basic support for layout and is the minimum functionality required in order to host a control within a Window (or a container control). Here’s an example of overriding FrameworkElement to host our new control. We create a FrameworkElement with one visual child, overriding GetVisualChild and VisualChildrenCount.